Texture Pack BlockPixel, created by Jacob_zero, was subject to numerous changes and updates for years. Due to the carried out hard work it is going to make your in-game atmosphere more vibrant and colorful. 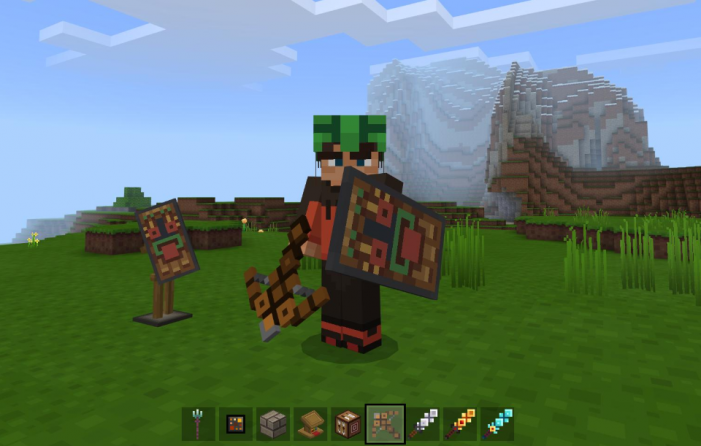 The secret of the present texture pack’s design is that all the in-game blocks, items, characters contain a bigger amount of square patterns, which makes them more detailed and clear to the eye. We recommend you to try this texture pack in order to feel a great difference in regards to the game’s graphics. You can download it by clicking the button below. Make sure to share with your friends and leave feedback. If you want to try other new and interesting texture packs, as well as maps, mods, and seeds, visit our website. Here you will also find the freshest MCPE related news and the latest versions of the game. Enjoy!